Taking advantage of the online resources for After Effects. Like a lot of editors, when I run into challenges that have me stumped, I often turn to the web for an answer. Over the years I have collected a number of links that have helped me in the past. In this week's blog we'll discuss the tutorials and tips for Adobe After Effects. There are a lot of tutorials out there, but these are the ones that I have found most helpful. My favorites are the ones that can be achieved within the core toolset of After Effects. Those are the ones I have included here. MotionScript.com has a lot of great expressions to simulate things that happen in nature. One such expression that I have used (and love the result) is the bouncing ball from Physical Simulations. The Surfaced Studio channel on YouTube is a great resource for a number of different techniques in After Effects. In addition, they are somewhat entertaining to watch as well. 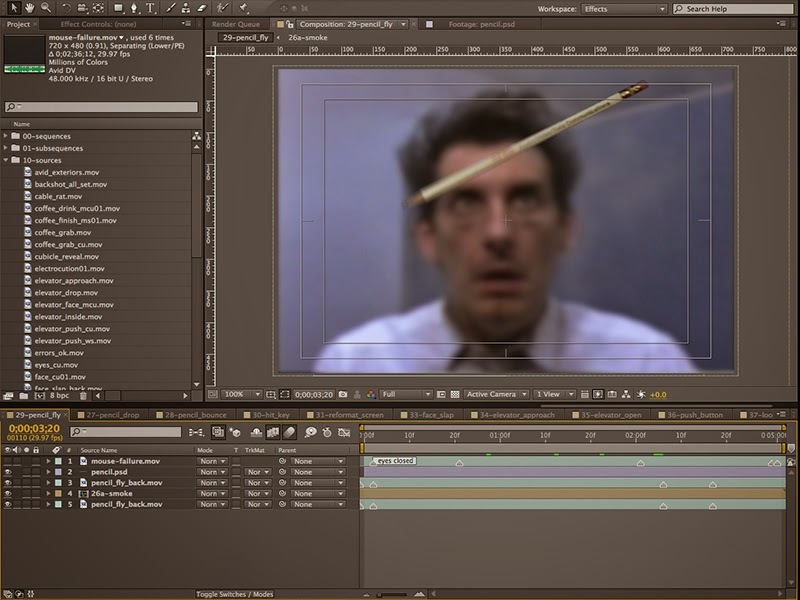 Creating and Tracking Smoke in Adobe After Effects CS6 from Stefano Virgilli. This technique came in very handy when I was restoring my video "Mouse Failure". There are other tutorials on creating smoke, but this one achieves the most realistic look. After Effects - 2D Track from 3D Camera Tracking from Dylan Reeve on Vimeo. This is a great idea. I haven't used it yet, but I often run into the problems that Dylan mentions when doing 2D tracking. Create A Gas Giant Planet Scene In After Effects from Chris Johnson-Standley. This tutorial is in a written tutorial, the video is of the final effect. I have used this technique and love the result. I hope you get as much out of these tutorials and resources as I did. Please feel free to let me know if there are any others that I may have left out.